Emotional Freedom Technique can do so many things for you. It relieves fears, pains and anger. It can help you sleep better. It can heal. The results are simply amazing. Steve Gottlieb is back and will give us some advanced techniques to make EFT work even better. The show will be a great gift for your well-being. Listen in!n this time of on-going crisis, It's helpful to add more tools for our daily comforts and to help life work so much better when we can find some peace of mind. This is something that can change the energy in your mind and body and create relief. It's been around for many years and many of you know of it. Steve Gottlieb specializes in EFT and has developed a deeper knowledge of how it can work better. In this show, he'll describe ways to use it that make it even more effective. It's not a show to miss. We're all coming into greater consciousness (although it doesn't look like it) and need to learn what to expect of our minds. I guess it depends on what aspect of our minds we look to. On the unconscious side, our minds know the deepest aspects of ourselves and our lives and likely run the show. It's our conscious minds that think they're so smart but only represent a small part of the whole. 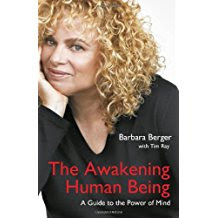 Barbara Berger truly understands the nature of waking up and how we can work with our minds to do a better job. Don't miss tuning in to this show and hearing her great wisdom to help us move forward. This is a very deep show about how our soul consciousness reveals itself through dreams and how we can learn more about who we are. It's not about dream interpretation but more about our dream themes and how they help us understand our deeper selves. Tom Verner and Stephen Larsen have written a very important book about this. "The Transformational Power of Dreaming, Discovering the Wishes of the Soul". Tune in to learn more about how your soul reveals itself. Shamanic healing is the utilization of ancient practices using tools and techniques harnessed from nature. True western shamans find authentic native healers to teach them their powers. It's a large tool chest so it takes a long time to evolve into a true shaman. is one of those students who can truly call himself a shamanic healer. His latest book, "Shamanic Healing, Traditional Medicine for the Modern World", is the story of his training and how he uses it. Don't miss this opportunity to learn about a fascinating healing world that Itzhak can describe. Most diseases are only considered to be symptoms of oxidative stress and inflammation. They are the key to getting better. Our bodies produce inflammation to help us but it's not easily controlled. The answer is to manage it better. I'm talking again with Steve Halpern, a nutritional scientist, who will help us learn more about our ability to decipher and manage this threat to our health. There's so much more we can do for ourselves with additional knowledge. Tune in and learn how to improve your health.